This is the pack you need for complete protection inside and out! 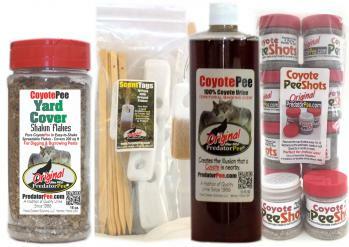 For Indoors: Use the 8-Pack of Coyote Urine PeeShots to drive animal pests out of attics, basements, garages and sheds! Put this all natural repellent to work for you and save money over single item pricing!